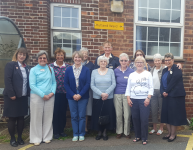 A new service has been started by Rutland Reminders to enable more residents of Rutland Care Village to join the group’s monthly singing sessions. This year’s Dementia Awareness Week is set to be our busiest yet! We’re celebrating our 5th Anniversary this September!